Photo: Rosalie, ca. 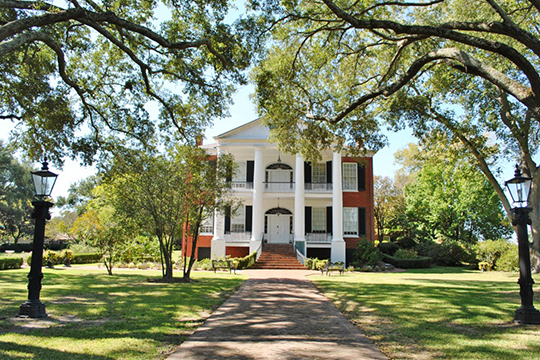 1823, 100 Orleans Street, Natches, MS. Listed on the National Register of Historic Places in 1977. Photographed by user: Elisa Rolle(own work), 2011, [cc-by-3.0 (creativecommons.org/licenses/by/3.0)], via Wikimedia Commons, accessed March, 2016. Adams County administrative offices are located at 314 State Street, Natchez, MS 39120; phone: 601-445-7934. Adams County, the oldest in the State has the Mississippi River as its western border. Organized in 1799, the county was named for President John Adams.